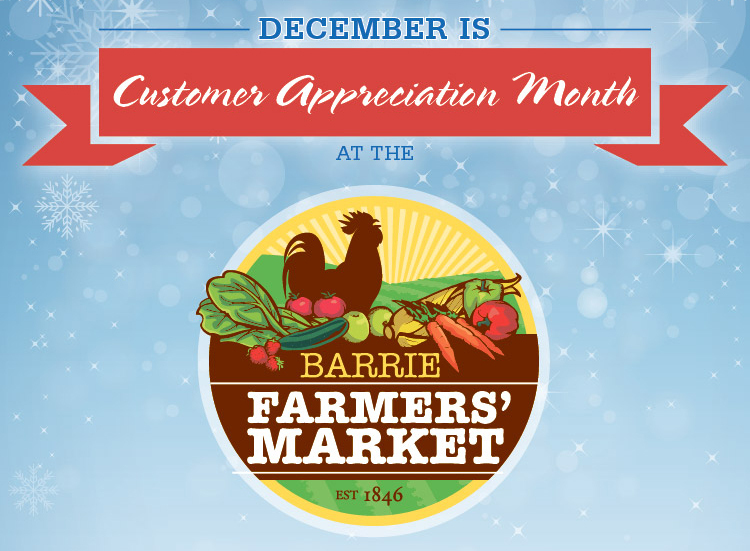 We’ve got a whole lot going on at the Barrie Farmers’ Market in December. We’re celebrating our customers throughout the month with giveaways and musical guests, and we’re capping it all off with a Market Christmas Party. 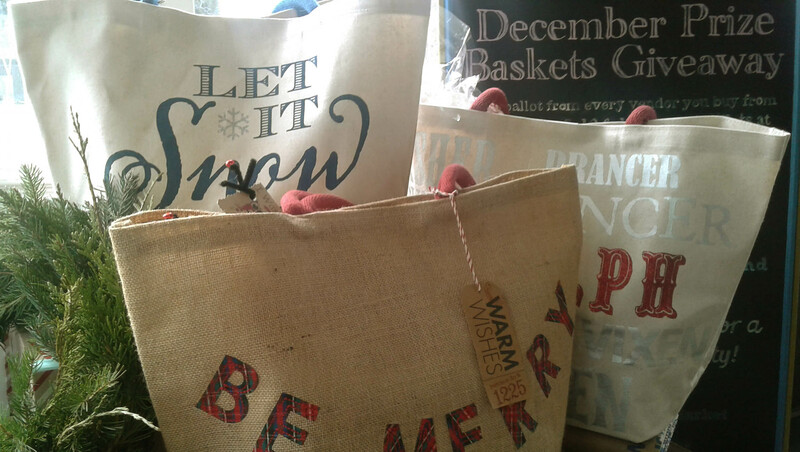 At each market from December 3 to 17, customers earn ballots for the prize baskets draw when they shop with different vendors. Get everything you need for the holidays, including lots of fantastic gifts, stocking stuffers, and food to impress your family and guests. The more you shop, the more ballots you earn! Each basket up for grabs in December comes with at least $250 in food, gift certificates, and artisan products. Thanks to the generosity of our vendors, there’s over $750 in food, crafts, and gift certificates to be won. Ballots accumulate over the three weeks and the prize draws start at 11 a.m. on December 17. Customers do not need to be at the market to win, but they must have their ballots in by the deadline. More details are available at the Market Manager’s booth every Saturday (look for the bright yellow table cover). Look for a variety of music throughout the month as well. On December 3 we’ve got Megan Anne Baillie performing. On December 10 you can catch Jeremiah Hill. And on December 17 and 24 we’re happy to have old favourites Lee & Steve back at the market. On December 24 we’re wrapping up the year with a Market Christmas Party. Join the vendors for mulled cider, holiday treats, and crafts for the kids. Weather permitting, it will be a fantastic morning for skating and shopping at City Hall. Avoid the craziness of the malls and enjoy a relaxing morning with family, friends, and your favourite vendors in downtown Barrie. Everyone deserves a bit of a break, so we’re closed on December 31. But we’ll be back for business as usual on January 7.